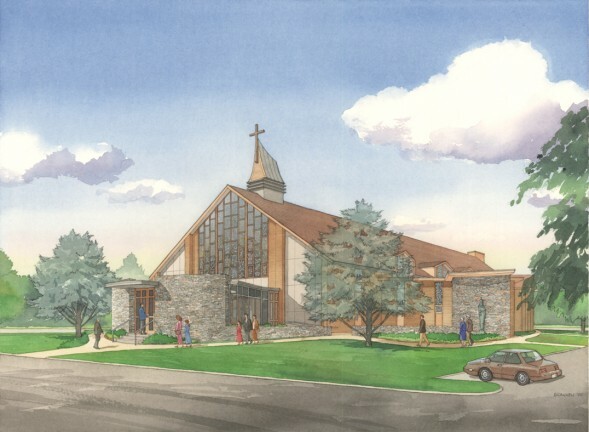 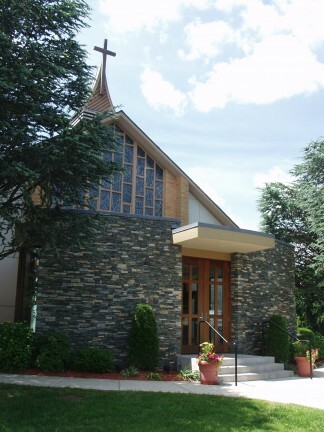 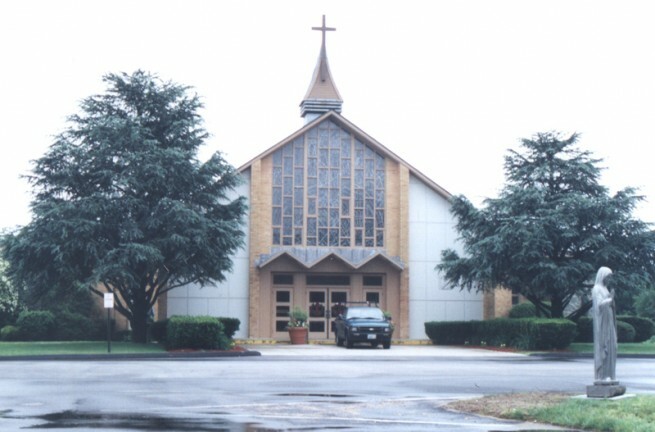 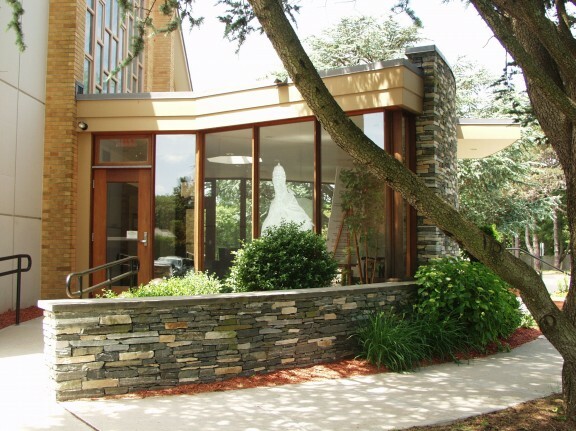 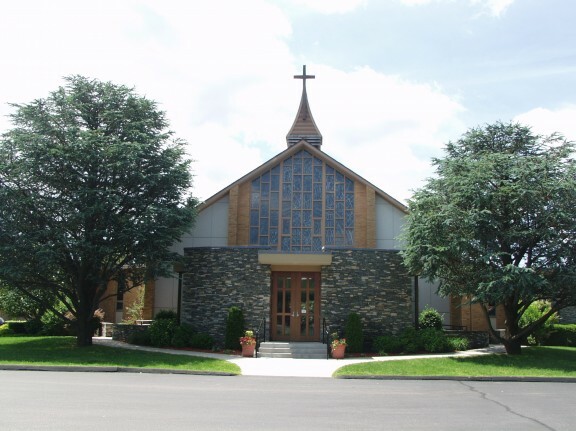 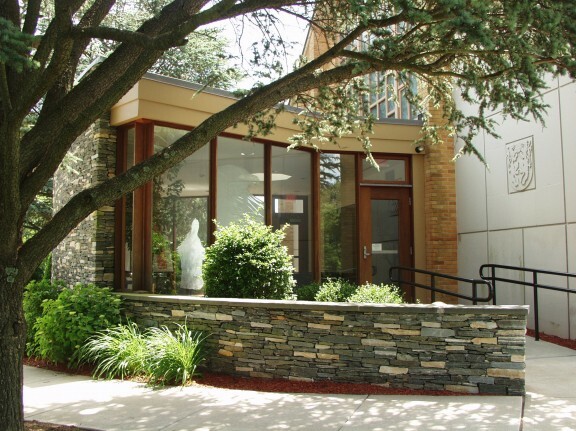 As well as reorganization of existing parish offices and classrooms, the program for St. Gregory the Great Church consisted of three major new components: a new entry and enlarged gathering space at the front of the church; four additional classrooms; and a 2,500 sf parish hall. 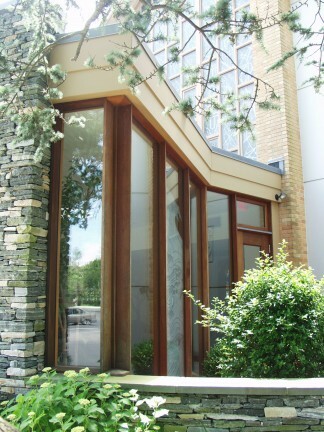 LLB used the existing language of stone landscape walls as a cue for the form and character of the new entry. 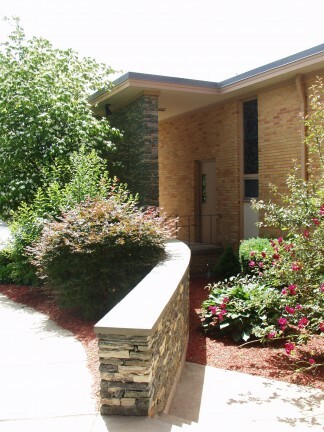 These are gently curved to flow around the site and frame a continuous walkway to and from various parts of the facility. 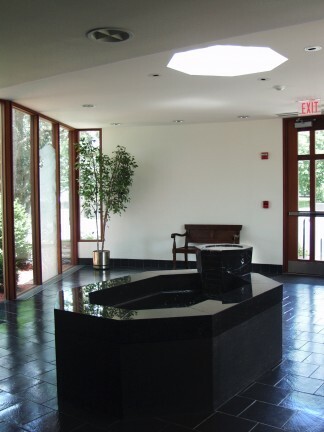 Glass sidewalks and a skylight centered over the baptismal font provide ample light into the gathering space.